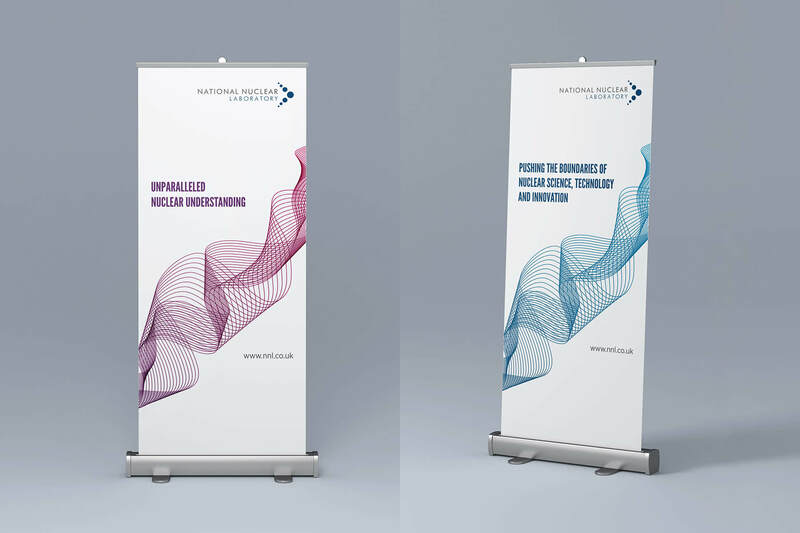 We worked closely with the head of marketing and his team to refresh the brand identity for NNL, a leading nuclear technology services provider employing over 1,000 people across a number of UK based facilities. The project spanned several months and launched towards the end of 2018. Meeting with the marketing team, we discussed the primary objectives for the brand refresh. NNL are a cutting edge organisation, employing some of the world's brightest minds, and felt that the previous brand was not a true reflection of this. The brand objectives were to portray NNL as expert, authoritative and pioneering. 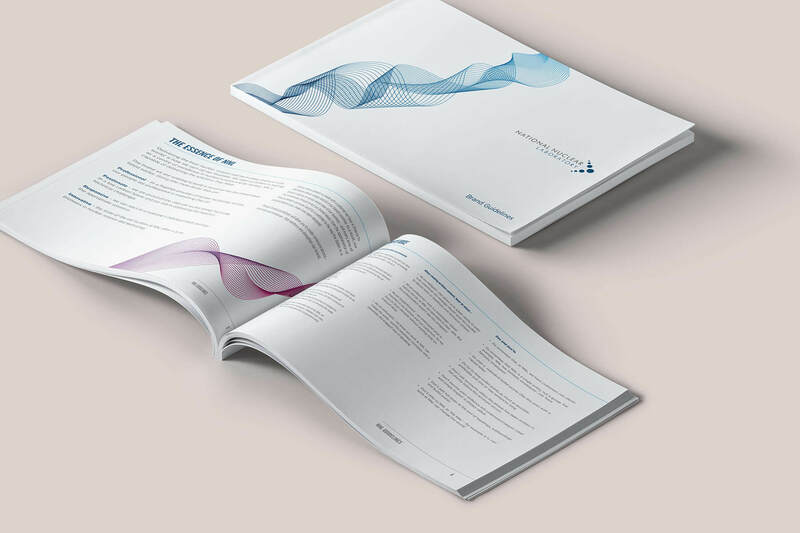 Following on from our briefing, we began producing brand concepts to give the marketing team a sense of what could be achieve with different visual styles. We were all in agreement that the brand would benefit from a greater use of white space, combined with the addition of new brand assets like the 'dynamic wave' and the 'roundel'. NNL had a selection of new photographs taken which were added to their library of brand images, ensuring variety across their many pieces of collateral. 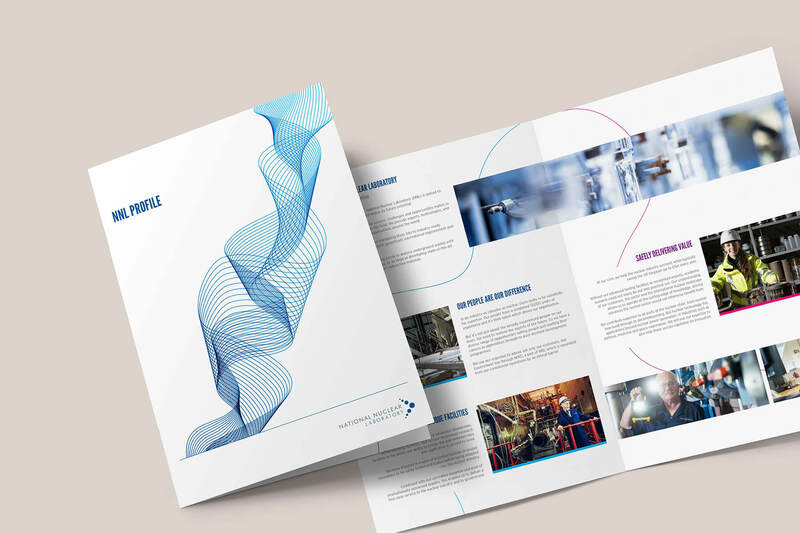 Using the new photography and additional brand assets, we produced several of NNL's key touch points including their facilities brochure, company overview and most recently, their 2018 annual report. 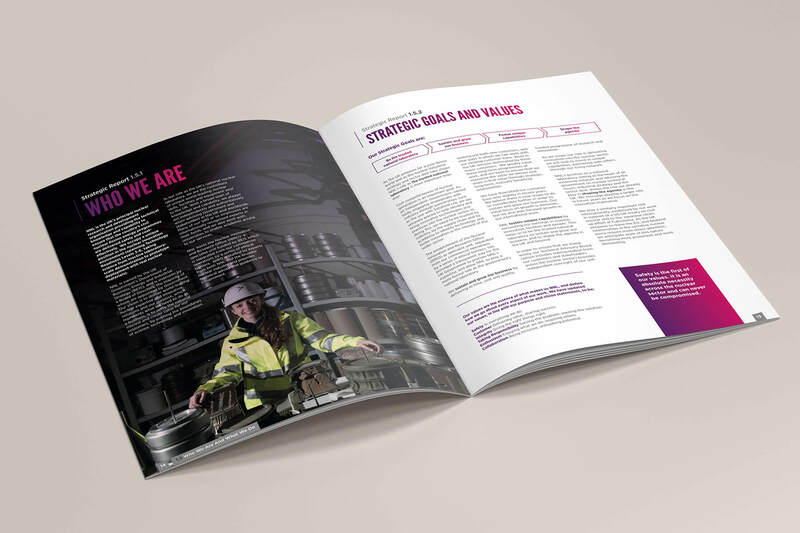 We've been an extension of the NNL marketing team over the last 18 months or so, and have helped them with a variety of requirements in addition to the brand refresh project. Other requirements have included designing and building an animated infographic micro-site, a training course website and a promotional website for their biggest event of the year, SciTec.